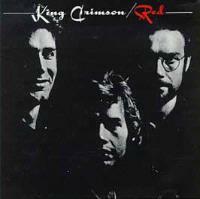 For my money, Red is King Crimson's most consistent and powerful album. The disc combines the hard edged sound that I think works the best for Crimson with both highly accessible and very creative song writing to produce an album that holds up exceptionally well. I also feel that the song Starless is quite probably the most perfect example of progressive rock ever produced. All in all, this album is very listenable and a wonderful sonic exploration. From the weird to the purely sublime, this cut is arguably the best KC has ever done, and I really think it might be one of the most perfect examples of what progressive rock should be. Mellow, heavily synthesized tones begin it in a haunting ballad style, and the instruments paint an enchanting melody to make up the introduction. This segment becomes the verse mode of the piece, gradually growing and expanding, the band reworking the central melody, creating a wonderful musical tapestry from it, sax wailing wonderfully overtop for much of the piece. Eventually it moves into an expressive instrumental reinterpretation of the central melodic themes before returning to the verse. After a time, the cut shifts a wandering sort of melodic, while quite exploratory jam. The band work this way through this exploration for quite some time before moving into a fast paced new jam. This moves the cut back to an instrument melodic section, this time reworked into amore powerful version. The conclusion is so completely satisfying that I have always thought that the first few seconds of silence after the cut are actually part of the song.